The military can be trusted to tell what they think. Interesting Message coded in the fly by. 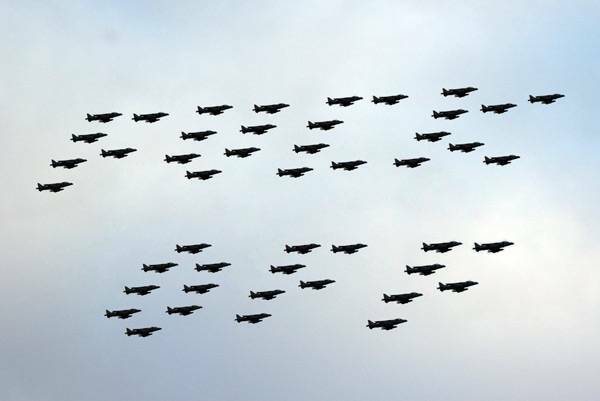 A picture of the last Harrier fly-by over the Houses of Parliament. You have squint a bit to see what the 'boys' are trying to say!